TO VISITORS, Sentosa is an island playground with loads of activities and entertainment to choose from. 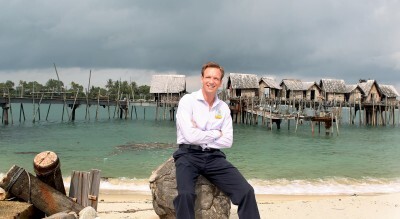 But for those working on the island, Sentosa is a "living classroom", said Mr Mike Barclay, chief executive of Sentosa Leisure Group. Employees can start out working in any one of the 200 attractions, retail or food and beverage outlets, and progress to others as they gain experience and new skills. "As our employees hone their skills in their areas of interest, we want to provide them with further growth opportunities that enable them to harness best industry practices and develop their professional competencies," he said. This, coupled with the philosophy of employing people with the right attitude for the job, helped the leisure company combat the current labour crunch. For example, when recruiting front-line workers for the recently opened children's water playground, Port of Lost Wonder, interviewees were put in a room with children to see how they interacted with the young ones. Mr David Goh, senior divisional director of leisure management, said the company's approach has kept attrition among the 1,300-strong staff at about 15 per cent now, down from 20 per cent in 2008. The attrition rate in other service-oriented industries - such as food and beverage, and tourism - is between 30 per cent and 60 per cent. More than 90 per cent of Sentosa's employees are locals. "We are quite proud of our abilities to retain talent," said Mr Goh. He added that following the opening of the two integrated resorts in 2010, a rethink of the company's recruitment and retention strategy was necessary as there was an increased demand for frontline service workers. Sentosa worked closely with the Workforce Development Agency to develop the in-house training programmes and customised courses for employees. One example is the STAR programme, which stands for Sentosa Training and Raise, a one-year diploma programme with modules picked out to suit the needs of the company. The first batch of of 27 graduates went through classes where they learnt things such as budgeting and how to draw up a business plan using real-life examples applicable to the island's daily operation. One in three who completed the programme was promoted. Mr Goh said the programmes focus on the long-term, all-round development of employees instead of just training them to perform specific tasks. "We realised we needed to map out some qualification for them that is recognised and transferable wherever they go in the future," said Mr Goh. "If we don't do this they will leave you anyway, but by doing so, we probably enhanced their loyalty by showing that this is a company that cares for them." A second batch of 18 employees are enrolled in this year's Star programme. Sentosa is currently working on making its staff members happier. It recently kicked off Project Happy People to look into providing facilities for workers so they can do their job better. This could include sprucing up rest areas, and providing wireless Internet access and even massage chairs for workers to use during their breaks. "Then people would stay not for the pay but because the company cares for their welfare," said Mr Goh.